Nestled in the center of Nassau’s Cable Beach in the Bahamas, Grand Hyatt’s Baha Mar Resort is a premier destination for vacationers. The resort includes amenities from a championship golf course and casino to a state-of-the-art convention center and hotel accommodating more than 700 rooms. Due to the extreme temperatures and hurricane-prone weather conditions, it was essential to invest in a roof that could withstand high wind and harsh UV rays. 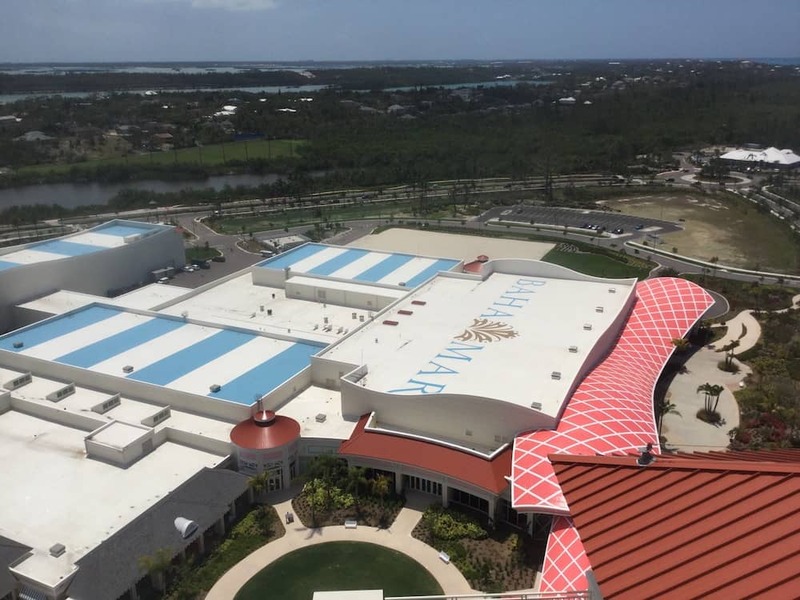 Baha Mar chose FiberTite Roofing System to fulfill their needs and ensure superior protection from the unpredictable tropical climate. Installation took place in two separate sections of the resort, totaling more than 200,000 sq. ft. In light of the close proximity to the Lynden Pindling International Airport, architect Anthony Valiño of AECOM Design in Florida, also wanted the resort to be visible from an aerial point of view, serving both aesthetic and branding purposes. The 200,000 sq.ft. Baha Mar Convention, Arts & Entertainment Center prominently displays the resort name and logo, using FiberTite Brite™. A Kynar® fluoropolymer top-finish helps maintain a glossy, sleek appearance. The contractor, Thermoset Roofing, completed construction of the roof in 2017 and the Baha Mar resort is now open and a one-stop for luxury getaways.